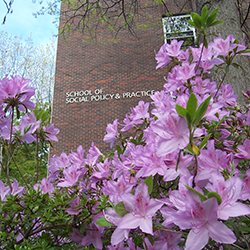 SP2 researches and educates individuals on the most pressing and seemingly intractable social issues locally, nationally, and around the globe. 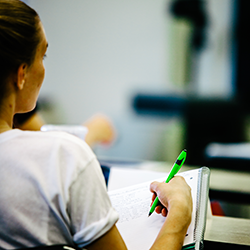 The School’s work has more than an academic impact – it generates real world actions and effects. At the same time, the action of others – non-profits, governmental agencies, community organizers, the courts, local businesses, community residents – impacts our strategies for change. 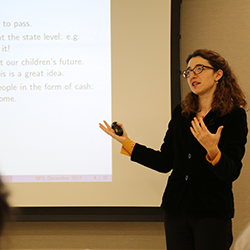 Using a multimodal approach, ActionSP2 will engage students, faculty, alumni, and other lifelong learners by highlighting individuals and organizations that work toward and epitomize successful action and advocacy. – Dean John L. Jackson, Jr.
As part of the ActionSP2 initiative, SP2 presents a faculty speaker series. 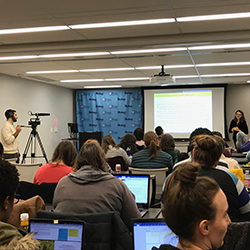 Launched in Fall 2017, the ActionSP2 Film Fellows Program trains students in professional video production. SP2 will invite leading practitioners and thinkers from around the globe to campus for short, focused residencies. 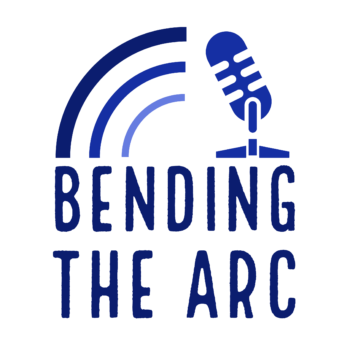 Bending the Arc, SP2's podcast, highlights areas in which the moral universe is in need of improvement, and the people taking action to make it happen. Learn about upcoming ActionSP2 projects.